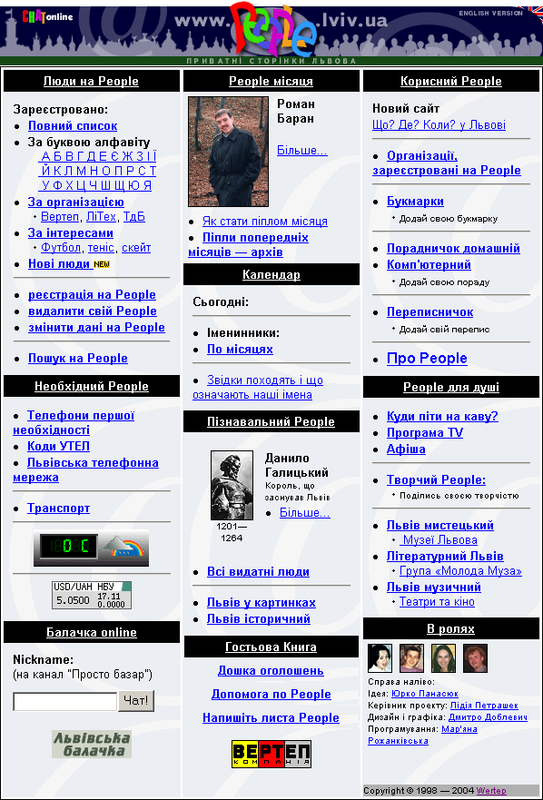 People was a directory of Internet users in Lviv, a city of 1 million in Western Ukraine. The website was online from 1999 till 2004. Now, it can be found in the Internet archive. Front page of "People" website.